More women than men have died each year from heart disease in the United States since 1984, according to the National Institutes of Health. Yet, there’s still a long-held perception that heart disease is predominately a man’s disease. Research indicates that heart disease is the number 1 killer of women, causing 1 in 3 deaths each year, but can also present differently than in men. 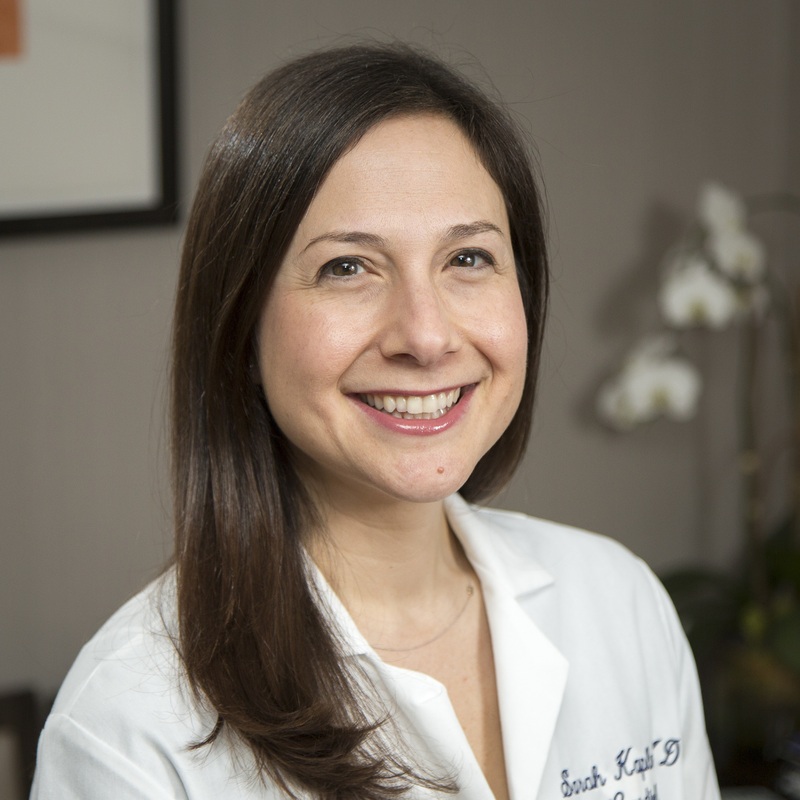 In recognition of Heart Health Month, Dr. Sarah Kaplan, cardiologist at Englewood Hospital and Medical Center, is encouraging women to learn more about the misconceptions of heart disease and to take steps to reduce their risks. Q: What are some misconceptions of heart disease? Dr. Kaplan: Many people don’t realize that while women certainly may experience the classic symptoms of a heart attack such as chest pain and heaviness, they also can encounter more subtle symptoms such as back or jaw pain, fatigue, shortness of breath, nausea or vomiting, and dizziness. As a result, women may not realize they are experiencing cardiac symptoms. Q: What are a few ways women can reduce their risk? Dr. Kaplan: Three everyday ways women can reduce their risk are to quit smoking, eat balanced and appropriately portioned meals, and exercise. Exercise, in particular, really goes a long way—think of physical activity as your medicine. I often recommend embracing an early-to-bed, early-to-rise routine of exercising first thing in the morning at least 2 days during the week and on the weekend. It’s always a good idea to check in with your doctor to make sure your exercise routine is a good fit for you. And remember, portion size and a healthy diet are just as important for heart health. Oftentimes, women put others’ needs ahead of their own and don’t make their health a priority. To stay strong and healthy, it’s important for women to understand their individual heart disease risk factors and make heart-smart lifestyle choices. Q: Do you have any advice on how to make exercise routine? Dr. Kaplan: To make exercise habitual, schedule physical activity like a meeting or an appointment. Think of it like anything else you have to do during your day. Choose activities you really like and want to do and you’re more likely to stick with it. Try also grabbing a friend or family member for a walk around the park to help keep each other motivated. Q: How can women make heart-smart food choices? Dr. Kaplan: I recommend cooking at home more and making heart-healthy choices at restaurants, incorporating colorful fruits and vegetables, lean proteins, and complex carbohydrates. Limit saturated fat, cholesterol, sodium, sugar, and alcohol. Q: What other lifestyle choices do you recommend to reduce heart disease risk? Dr. Kaplan: Women can reduce heart disease risk by maintaining a healthy weight, avoiding tobacco products, learning family history of heart disease, knowing health numbers like blood pressure, cholesterol, blood sugar, and body mass index, managing chronic conditions like diabetes, high blood pressure, and high cholesterol, reducing stress through relaxation activities such as meditation, yoga, and massage, and getting annual health screenings.